VietPress USA (Feb. 10, 2018): On the first day of 2018 Winter Olympic Games in Pyeongchang, South Korea, the first Gold Medal awarded to Charlotte Kalla of Sweden in the women's cross-country skiing. Norway's Marit Bjørgen takes silver and Finland's Krista Parmakoski got bronze. North and South Korean Teams join together in The Unified Korean Women's Hockey Team play against Switzerland's Team. The third important and amazing news is that South Korea's President Moon Jae-in greeted Ms. Kim Yo Jong, sister and assistant to the Leader Kim Jong-un of North Korea to visit South Korea President Palace. South Korea President Moon Jae-in has been visited by Leader Kim Jong-un to visit North Korea. Technically, the 2018 PyeongChang Games have been going since Feb. 7, when Americans Matt and Becca Hamilton began the mixed curling doubles with a win over the Russians. 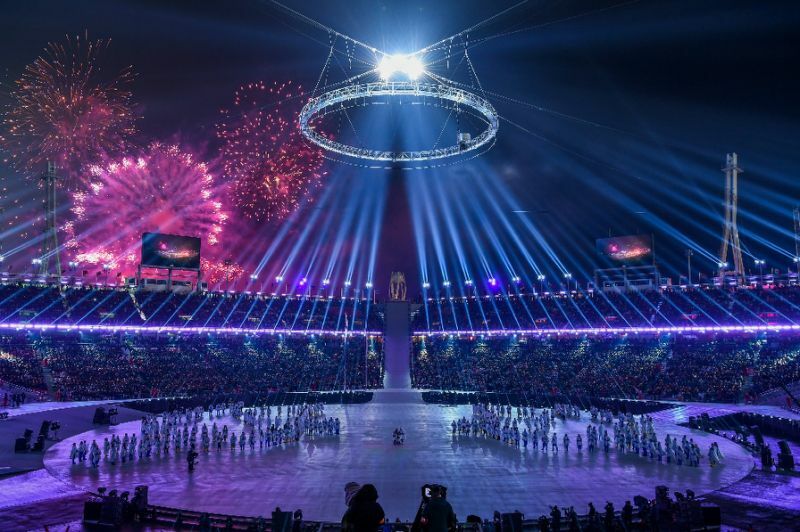 But on the fourth day of the Games, with the Opening Ceremony concluding on Friday morning, and the medal rounds commencing on Saturday morning in South Korea, it had the feel that the Olympics had officially begun. Norway makes history: The first Olympic gold may have gone to Sweden’s Charlotte Kalla, but it was the silver medalist of the 15-kilometer skiathlon, Marit Bjoergen of Norway, who made history. With her silver medal, Bjoergen, who now owns 11 medals, became the most decorated female Winter Olympian of all-time. Read the full story here. The HamFam is out: Everybody’s favorite curling family, the Hamiltons, were eliminated from the debut event, mixed doubles curling. A loss to China, their fourth straight after an opening win over Russia, put the final nail in the proverbial coffin for the two. They’ll still compete for the men’s and women’s teams, respectively. Read the full story here. South Korea dominates the short track: Yahoo staff writer Jay Busbee likened the atmosphere in Gangneung Ice Arena to that of Talladega — that’s how big short track skating is in South Korea. On Saturday morning, the South Koreans showed why, as Lim Hyojun took gold in the men’s 1,500-meter final with an Olympic-record time and the women set a new Olympic record of their own in the 3,000-meter qualifying round despite falling. Shani Davis still upset about not being U.S. flag-bearer: Davis has been a superb member of the United States speed skating team, owner of two golds and two silver medals between the 2006 and 2010 Olympic Games. But he wasn’t pleased when Team USA took to a coin flip to decide if it would be Davis or Erin Hamlin who would serve as the flag-bearer for the Opening Ceremony, and he ultimately decided not to walk with the Americans. Read the full story here. The Mike Pence-Adam Rippon saga continues: The riff between the vice president and the figure skater continued on Saturday morning, with more and more layers unfolding in one of the stranger dramas of this year’s Games. Read the full story here. Andreas Wellinger wins gold again: Despite blustery conditions and a number of delays, German ski jumper Andreas Wellinger won a second straight Olympic gold medal, earning the top mark in men’s individual normal hill. He won gold in Sochi as part of the normal hill team event.